Keeping up with all the details of planning a wedding can be work – you deserve a break! We hope you all take some time to relax over this Labor Day weekend. Both Stardust and LuLu’s will be closed on Sunday and Monday, buy valium us cheap September 1-2, so we can rest up and be ready to hit the ground running again on Tuesday in our efforts to help make your wedding day dreams a reality! Have a great weekend and we’ll see you soon! Color Splash: Coral, oh Fabulous Coral! August is the hottest time of the year! 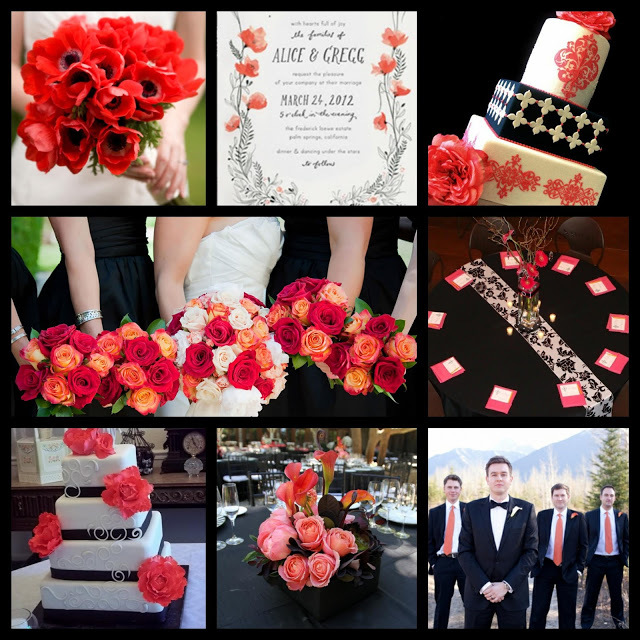 Not only is the weather scorching, but the color coral is hot, hot, hot on the wedding scene! The vibrant, summery hue can take on many personalities, depending on what other colors you pair it with, and we happen to love all these very different color palettes featuring the ever-gorgeous coral. 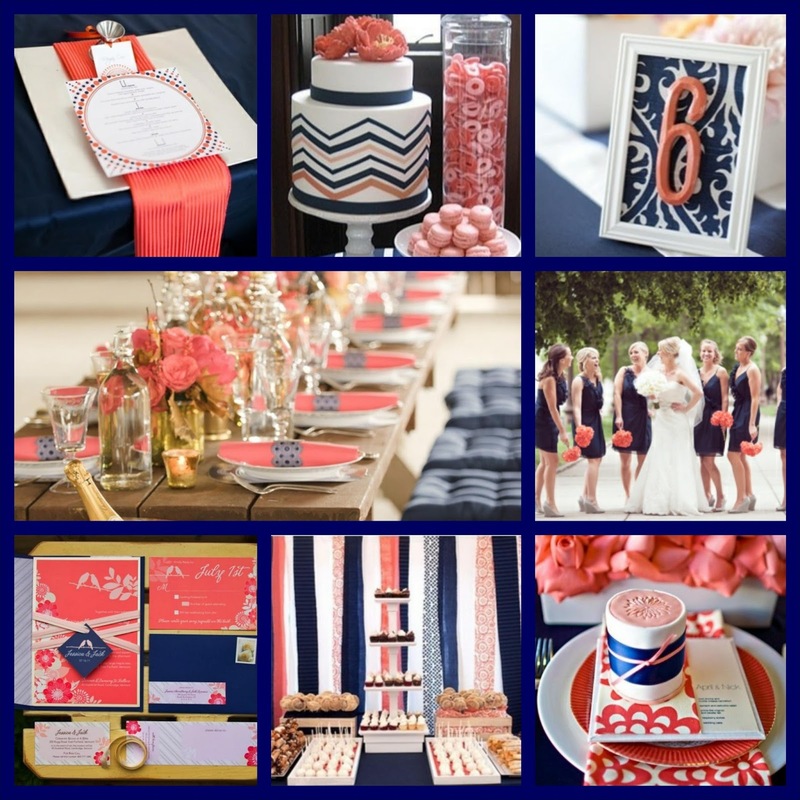 Coral and navy blue is hip, preppy and lends itself to a nautical flair. 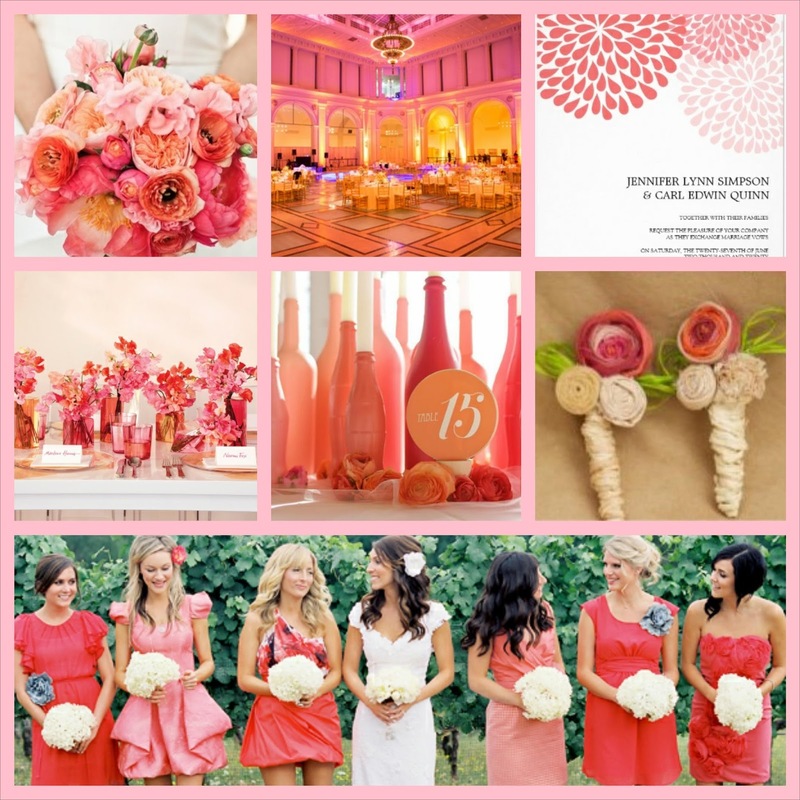 We think coral paired with pink is elegant, romantic and sweet. Coral and black feels clean, modern and sophisticated. 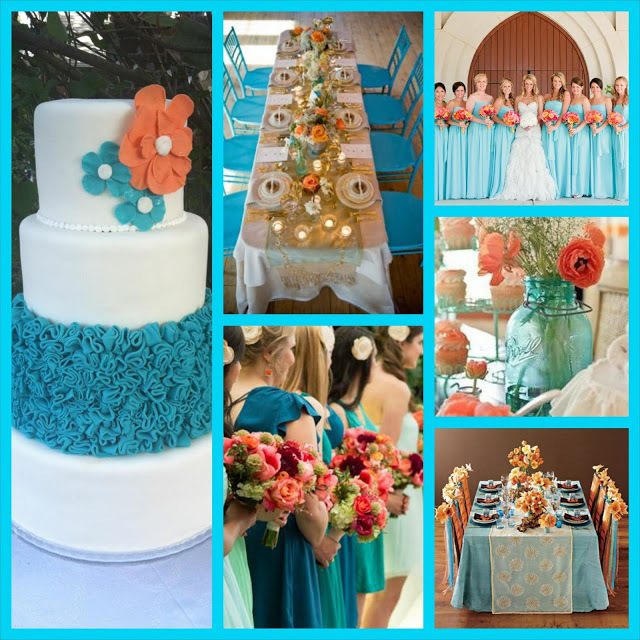 The cool combo of coral and Tiffany blue (or turquoise or aqua) is fresh and dramatic; it works great for a beach or tropical wedding. 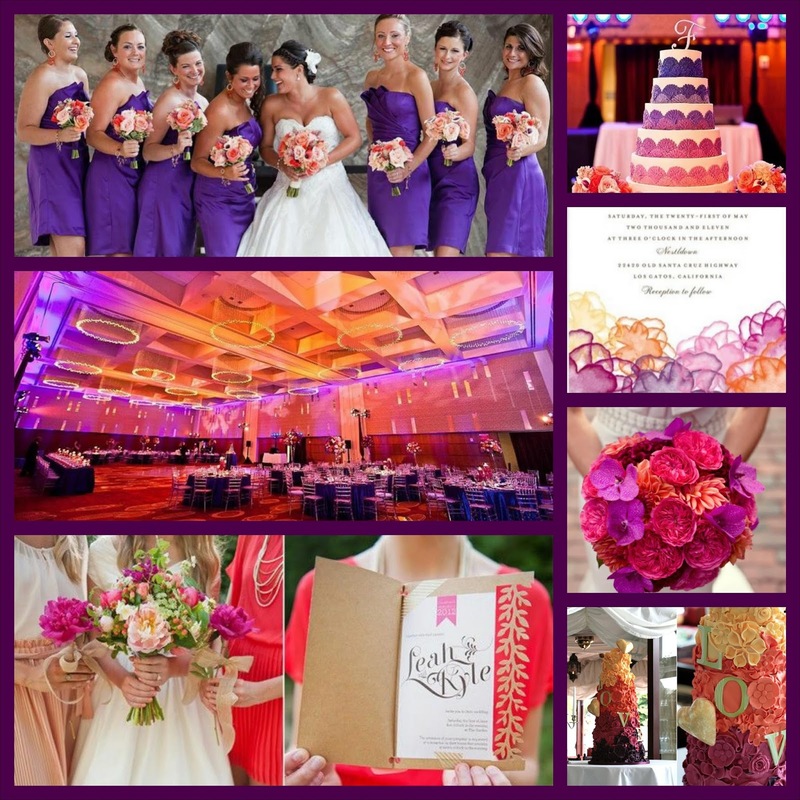 Inspired by a sunset, the marriage of coral and purple is youthful and whimsical – and fun! We’ve been seeing a lot of these super-cute love story signs that couples display at their weddings. 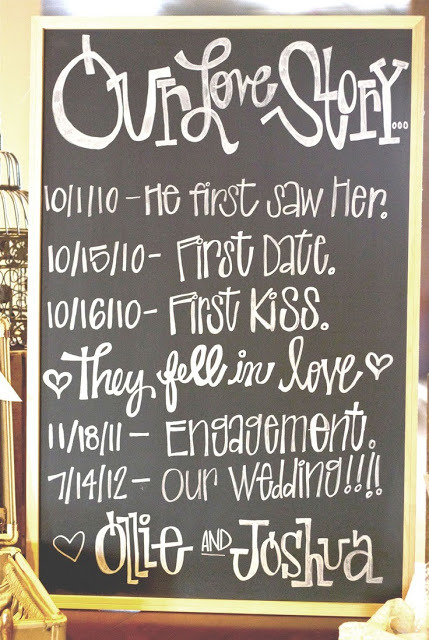 The chalkboard sign is darling, especially if your wedding has a rustic vibe, but what to do if your celebration is more formal and elegant than rustic? Well, we love these beautiful personalized signs from Checkerboard! Not only are they more sophisticated, but they are more permanent, too! 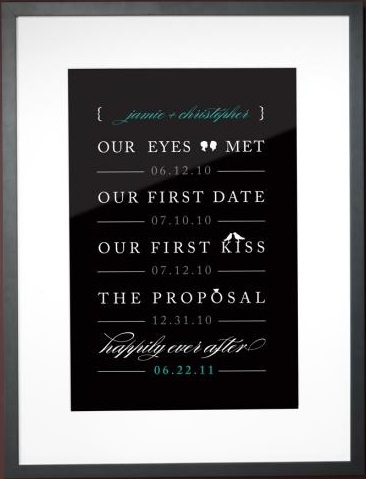 They would make beautiful wall art for your home after your wedding day. We have these lovely Happily Ever After prints available for order in our invitation studio at Stardust, so come in and check them out! Let’s just put it out there. Mondays can sometimes be hard – especially after a glorious weekend like the one we just had. 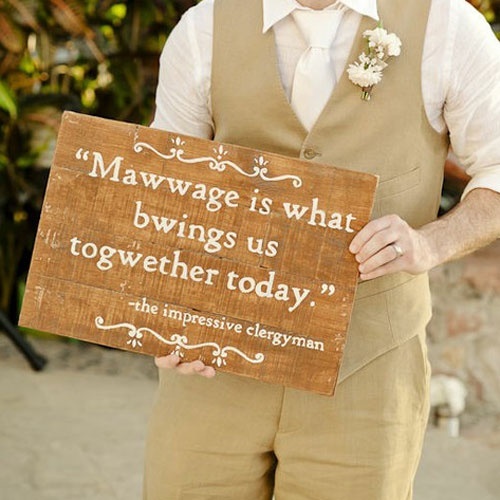 We thought we’d help you ease into this Monday with a little wedding humor. What could be more humorous than one of the all-time best romantic comedies, The Princess Bride?! Buttercup, best place buy diazepam Westley and Humperdink, oh my! We hope this brings a smile to your face and a snicker to your lips. Happy Monday! Hold onto your hats, er, veils, ladies! 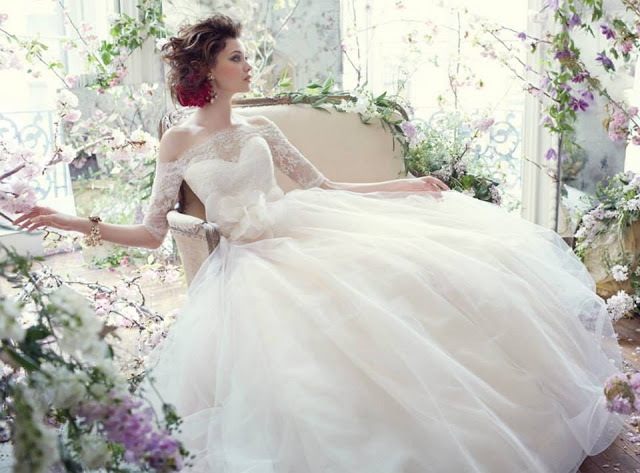 Our stunning Fall 2013 bridal gowns are starting to arrive and you will not believe all of the gorgeous goodness! Here are just a few of our beautiful new wedding gowns! Incredible lace-sleeved gown from Alvina Valenta. Uber flattering mermaid gown in silk organza from Watters. This flowy, romantic empire-waisted gown from Augusta Jones is perfect for a destination wedding. Love the stunning back detail on this elegant Lazaro gown! Enjoy photos all of our amazing new gowns on our Facebook page!